The International Space Station (ISS) has been orbiting the earth since 1998 and while primarily a science research project it also has on board amateur radio equipment supplied by the ARISS (Amateur Radio on International Space Station) project. Most of the astronauts and cosmonauts are licence amateur radio operators and use the equipment to talk to licensed operators on Earth. On the evening of August 8 2017 an ARISS contact was arranged as part of the International Youngsters on the Air (YOTA 2017) event, hosted by the RSGB. The ISS flew over the UK during the evening and while there technical difficulties with the first attempt a later pass allowed an excellent contact with the youngsters. The downlink transmission from the ISS during these contacts can be heard by anyone using very basic equipment listening on 145.800MHz FM who is within range of the space station. There is also an amateur TV station broadcasting around 2GHz which can also be received but requires more specialised equipment. It is very easy to decode the images with free software and the signal can even be received with a £10 SDR receiver plugged into a computer, one of Andrew’s videos shows the reception of some images using an SDR taken from the ISS looking down to Earth that were broadcast back in 2013. 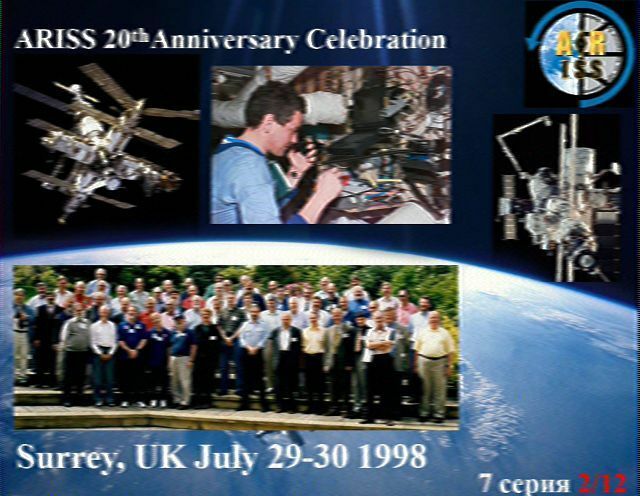 That is not all, there is also an APRS beacon on the ISS where operators can send a message up, it is received and then rebroadcast by the ISS and received by others in another country and can be done using a £30 handheld and a computer. As well as the ISS there are a lot of amateur radio satellites (often launched from the ISS) which operators can use to make contacts through and receive an decode telemetry. Anyone interested in trying space communications and wants to keep abreast of new technologies and experiments with amateur radio then look no further than SKARS so come along to a meeting.